Every possible feature you could dream of is packed into this speed machine. 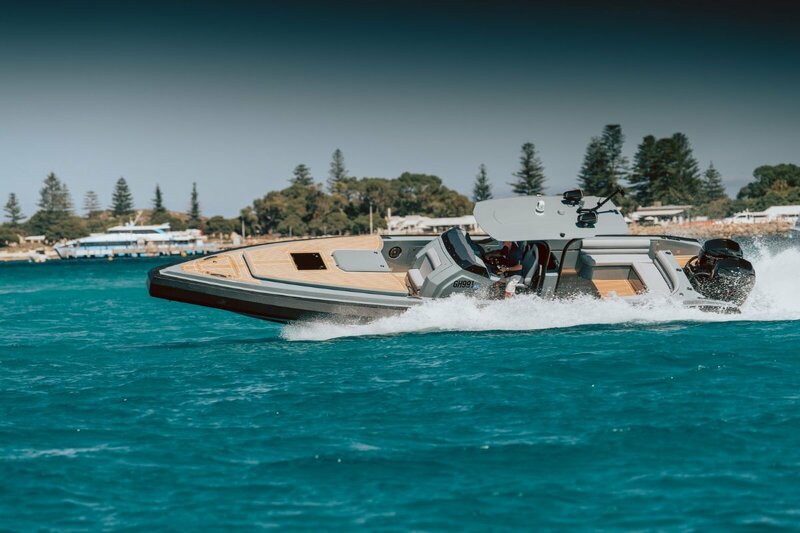 Dingo Yachts are the new player in larger tenders in Australia and with a practical layout they will be a force in the future. There has been no expense spared in the construction of this amazing vessel. From an extensive Raymarine electronics package including a night vision camera and an underwater camera to air conditioning to the cabin and toilet, this boat has it all. The twin Mercury Verado 400R outboards push her along at up to 50 knots when needed. Bow and stern thrusters will make berthing a breeze. - Hull construction: Deep V hull configuration, hand laid GRP using Iosthalic resin for maximum Osmosis protection. E-glass CSM/Bi-axial cloth lay up with high density Divinycell foam hull re-enforcement to give the ultimate performance and weight saving.